We service and install most major brands of heating and air conditioning equipment for customers in the Greensboro, Winston Salem, and High Point, NC, area. We are a leader in the HVAC field at offering High Efficiency alternatives that will lower your energy cost. We back up all our heating and cooling services with one of the industry’s most comprehensive warranties. We offer Residential Heating & Cooling and Commercial Heating & Cooling services to the Greensboro, Winston Salem, and High Point areas. The certification of your independent Trane Comfort Specialist™ indicates a Trane dealer of the highest standards. Certified independent Trane Comfort Specialists™ are committed to excellence in every avenue of their businesses. Only dealers committed to customer satisfaction and continuing education are able to qualify as certified Trane Comfort Specialists™. Choosing a Trane Energy Star comfort system assures homeowners of lower energy consumption, improved indoor air quality, attractive design appearance, and most importantly, improved comfort for your home. Let us help you decided on the option best suited to your needs. Call your local independent Trane Comfort Specialist™ today at 336-294-2301. At Johns, we’re uniquely set up to maintain, service, and repair today’s high-tech electronic heating and cooling systems for customers throughout Greensboro, Winston Salem, and the Triad, NC, area. With a fleet of trucks and advanced technicians, we can satisfy your requirements for any type of heating and air system—customizing controls to fit your specific needs. 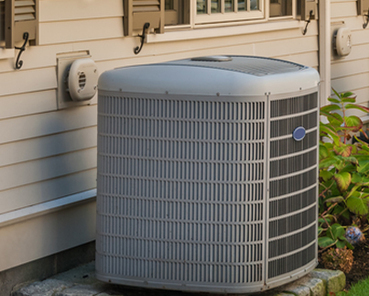 Contact the representatives at Johns Plumbing, Heating and Air Conditioning to discuss your home comfort needs, home environment, and other important factors to determine your ideal Trane home comfort system. As Trane Comfort Specialists™, we install and service everything from heating and filtration systems to humidification, energy management systems, and air-cleaning units. We offer the most durable, reliable equipment you can buy. We also carry brands such as Amana and Goodman. View details on our plumbing services and drain cleaning services. "We've used Johns Plumbing, Heating & Air for years and have never had a bad experience. They are always on time, and their service technicians are always friendly and professional. It's nice that you can schedule appointments on their website. We recommend Johns to all our neighbors and friends."